My husband and I woke up a few Sundays ago to a forecast filled with rain. Our first instinct: escape the rain. 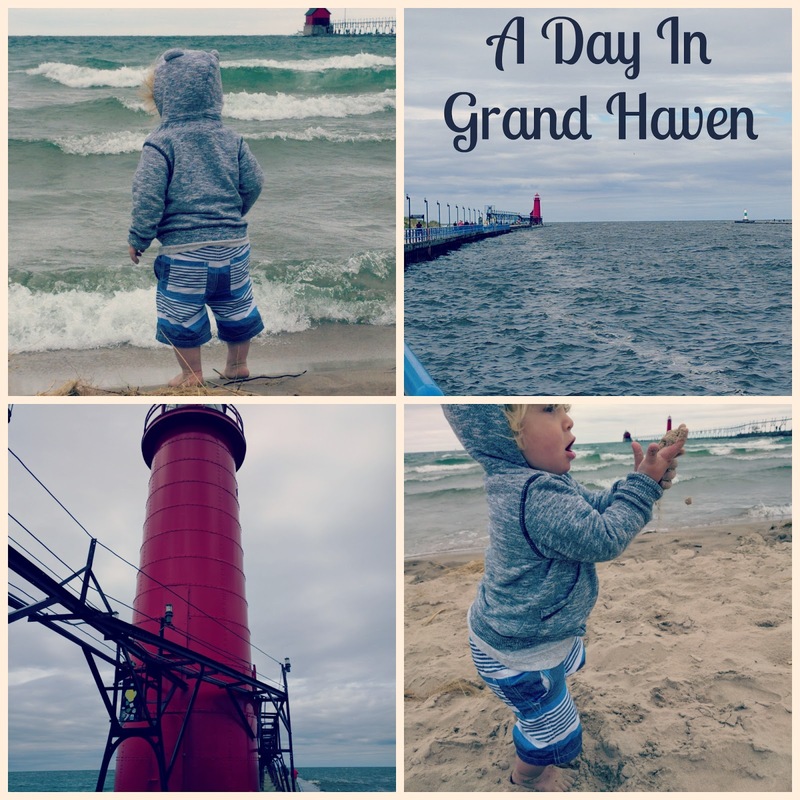 We checked the west side of Michigan and the forecast was clear, so as soon as my son woke up, we jumped in the car and headed west to Grand Haven. 7am: Wake up, gather beach towels and snacks, and jump in the car! 9am: We ate breakfast at the Morning Star Café, a few blocks off main street. This is a popular spot, so we had to wait 20 minutes before being seated. Luckily, a darling little book store called Bookman is located right next door, and was open at 8am, so Max and I read some books in their kids section while we waited for our table. 10:30am: We grabbed coffees to go and walked around their main downtown area. We were really early, so the shops were just starting to open up. We popped in and out of a few, and then made our way to the pier and beach. 11:30am: We walked from downtown to the Grand Haven South Pierhead Inner Light lighthouse. This had to be a good 1-2 mile walk. 12:30: Beach time! We spread a beach blanket and allowed Max to splash in the water. It wasn’t warm enough to go all the way in with bathing suits, but he had a blast running in and out of the water. Shopping – the downtown is filled with boutique shops, including clothing, unique Michigan apparel, kids toys shops, art shops and even a boutique dog store. If you want ‘Michigan Love’ apparel, you will find tons of options. Rent a pontoon – this is more for a nice day, but half day rentals are available! Beach! It wasn’t warm enough to swim when we went, but my son could have spent hours splashing his little feet in the tide. What's your favorite Michigan day trip? I'd love to hear suggestions of cities and fun things to do while visiting! Please comment below! I love that area of the state. The beaches are nice. I haven't been there in way too long. I think I need to make a plan. Have you been to Pentwater? I love it there. My hubby and I made a day trip to Grand Rapids last Sunday and I agree it was doable! I absolutely LOVE Grand Haven. The west side has some really incredible beaches and cute little towns. Some of my other favorites are Saugatuck, Ludington, Charlevoix, and Beaver Island. You had me at water and lighthouse. I've been looking for somewhere to go see the lakes that doesn't require a pass. We just moved here and don't have those yet. 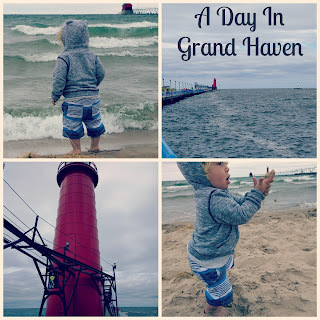 Grand Haven is my favorite city in Michigan, and their beach is one of my favorites in the US. I'm reviewing a b&B in Fennville tomorrow night and we plan on heading to GH the next day :) my boyfriend has never been. Must-do's in GH for me: the beach, The Toasted Pickle (sandwich place), Turtle sundaes on the boardwalk, the trolley tour (only $1.50! ), Peace Frogs store, and walking the boardwalk.